I’m making pancakes while blogging, so I figured I might as well blog about making pancakes. Now I understand it is possible to buy some kind of mix or powder, but I don’t even want to go there. Here’s the recipe. Scale accordingly and mix together: whip eggs (until uniform), whip eggs together with water, then add the flour slowly while whipping. You don’t want any flour clumps I prefer to keep my recipes very simple and adjust by feel, that is, if it looks too runny, add more flour and if it looks too solid, add more water. I generally prefer to make pancakes using butter rather than oil and I vastly prefer cast iron pans (link to what I’m using) over teflon pans for this kind of job. Pour the batter on the hot pan and tip it to make the batter cover the surface. If it’s runny, add more flour (next time). If the pancakes are too thick, add more water (next time). Wait until the bubbles pop, then flip it with a spatula (or in the air if the wife isn’t home). The “B-side” is done when you can move the pan cake easily around on the pan. 25 users responded in " Simple pancake recipe "
Something to add to your mix is chopped nuts. Love ’em!!! Jacob, what I love about your blog is how you break everything down to the basics. Genius is simplicity. You simplify. Pancakes=Flour, egg, H2O, baking powder. 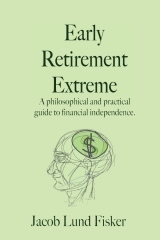 Retire early=LBYM, save money, use common sense. Honestly Jacob, I thought there was some kind of magic in that Aunt Jemima box. Jacob – what setting do you use for your flame? I’ve been practicing with the cast iron, but pancakes just don’t want to trn out right on it. @HSpencer – My grandmother did that once when I was 10. I told her they tasted really weird (not like mom makes them), so she whipped up a new batch. @Mike – It’s like flour, powdered eggs, powdered milk, preservatives, some more preservatives, … all wrapped up in a fancy package and a marketing campaign. Most consumer products are fairly simple. It’s interesting that it is possible to completely powderify all cakes. It has been found that consumers do not think they are baking if all they have to add is water. Therefore they typically also get to add flour. @hickchick – My burner has two settings, essentially, off and flamethrower — if I get it just right, I can get something in between like simmer. I find that hotter is better for pancakes, so I just run it on flamethrower and be quick about it. For me this is the perfect pancake. I always make at least one of these every morning. That is before I put 1 million and one things in my batter to please my 4 kids, including my 6-year old twin boys with a say about everything. You name it, berries, nuts, bananas, hotdogs, ham, sausage, and so much more sometimes I can’t imagine how my kids could come up with such ideas. lol! Don’t forget to add the chocolate chips! Or fresh blueberries for you health-conscious types. Interesting you don’t use milk, choosing water instead. Adding milk to the batter makes them taste way better and I usually put a tablespoon of oil into the batter too. For a crispier crust, add a bit more egg. It’s easy to add a couple of Tbs. of wheat germ or ground flax in as well. I suppose it wouldn’t be quite as simple that way, just better. i’ll try it withou sugar. and to chime in on the flavored types above: flax seeds are god’s gift to pancakes! Since you are on the warrior diet do you eat these pancakes in the nighttime. do you still eat one meal a day. i think eating once a day is beautiful in its simplicity and economy of time and money. Pancakes are one of the breakfast foods I really am not good at making 🙁 My problem is mostly with knowing when to flip them and keeping the cake in one piece. Mix with additional water until slightly runny. Pour onto a hot plate. Flip when bottom is dried out. Feel free to mix in fruit, nuts, or whatever else into the mixture. Mashed up over-ripe banannas go great. Peanut butter is a decent topping. So are strawberries. Sub old coffee that you didn’t drink for water. And if you have creamer (perchance), use that too. @Q – Coffee?! I gotta try that. Another thing you could do is separate the egg egg white, beat it and add it back in for fluffiness. Owing to a gluten sensitivity, I don’t do flour. I have come up with a gluten-free low-carb pancake using unflavored whey protein isolate in place of the flour, along with an egg, some psyllium husk powder, a tablespoon of some heat-stable oil such as coconut or olive oil, and a splash of sugar-free caramel syrup. Mix with hand-blender, cook in large pan greased with butter over moderate to low heat, flipping once after about 3-4 minutes. Serve with sugar-free syrup and/or fresh or frozen berries. Some chopped nuts are a nice touch, too. BTW, since going low-carb in 1999, I have lost over 100 lbs, cured my diabetes, cured my arthritis, and in general improved my health tremendously. The only problems I have had with low-carb are well-meaning fools (including MDs) wanting to lecture me on how “unhealthy” low-carb is. My recipe is almost the same, except I use soy milk instead of water. And 40% rye flour 60% wholewheat flour. (more nutrients and fibre). Also, I found in my nutrition text that the baking powder, although it can make more bubbles, and so fluffier pancakes, as the chemical change occurs under the heat, it depletes the vitamin content. so I stopped using it. A benefit is that since I don’t add sugar, you can’t go wrong by adding too much and turning it Salty. Since I don’t measure much, my recipe below for those who like to wing it. Start blending them in a blender. High speed. Add about 3-4 heaped tablespoons of stoneground light rye flour, and about 5-6 tablespoons of wholewheat wheat flour. By now the blender is struggling. Add more soy (maybe a full third pack) until the vortex in the blender is sucking right down. It’s now the right consistency. Hot pan, preferably cast iron, and cooking with butter tastes best!!!!!! Jacob describes the cooking technique exactly! After that u need the homemade jam from your fruit trees!!! It’s even simpler to make. Another low-carb “pancake” recipe: 1 egg, 1 Tbsp almond flour/meal, 1 Tbsp grated parmesan cheese. Makes enough for 1 person’s breakfast. Simpler yet. Start a sourdough culture (flour, water and time) and when you want pancakes just pour your sourdough into a hot grease pan. All the fruit, egg, sugar, and but additions can still aqpply if desired. I also eat gluten free due to gluten-sensitivity and I use this really simple recipe: 1 ripe banana, 1 egg, 1-2 teaspoons of nut butter (for ex. almond butter). Optional: cinnamon and vanilla extract. Put banana in a bowl, mash with a fork and add egg and nut butter, mix with fork. Cook with lots of butter/coconut oil. Add desired toppings. Makes for a filling breakfast! I’m going to try this, seems pretty straightforward, I mean what can go wrong? I use to love pancakes as a kid and I guess it must be really cost effective too. Thanks for sharing Jacob. If you use Buckwheat flour you’ll get Buckwheat pancakes- which I prefer. Really yummy. Add a mashed ripe banana to give it natural sweetness, flavor and a good soft texture. Fold into dry ingredients – don’t over mix or they will be tough.